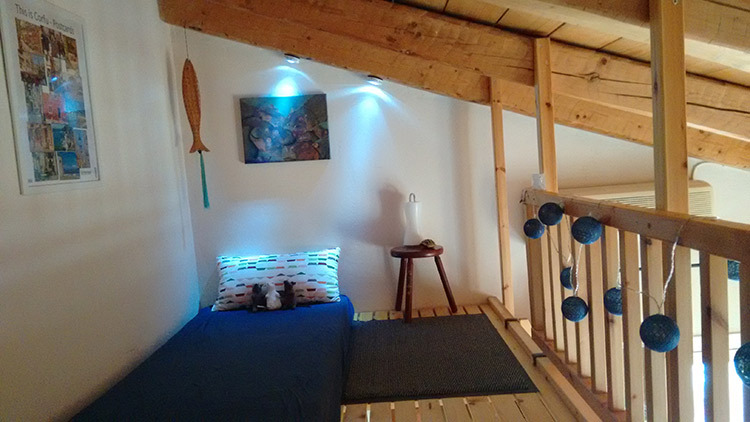 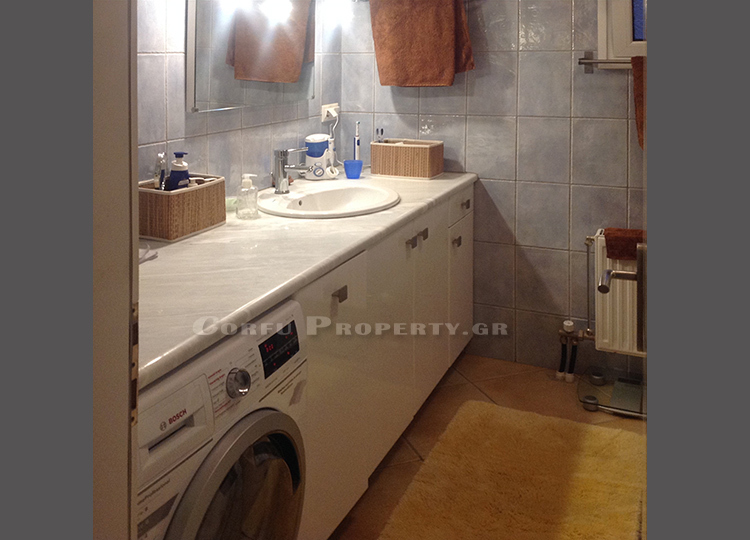 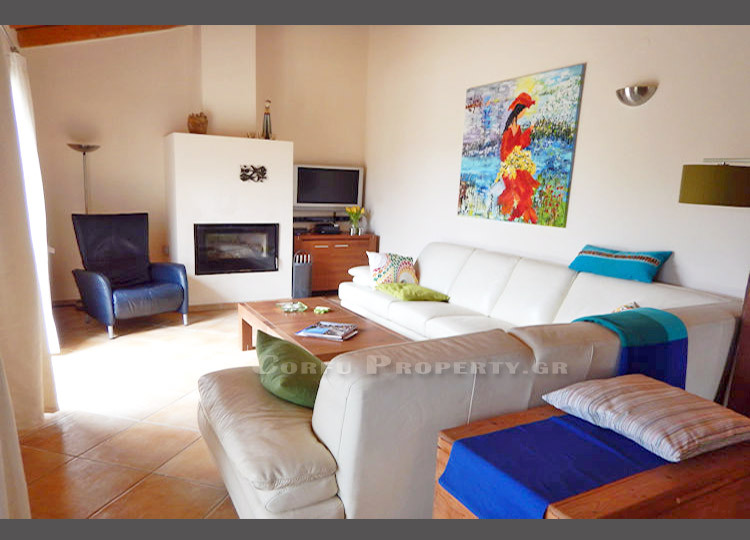 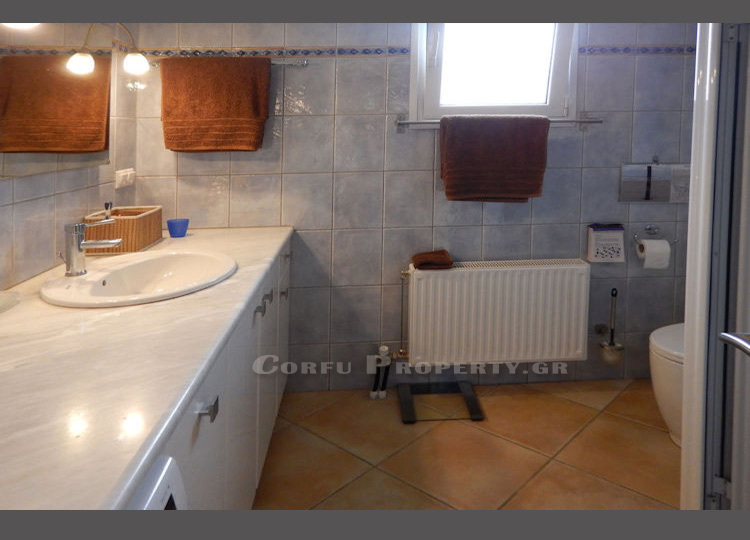 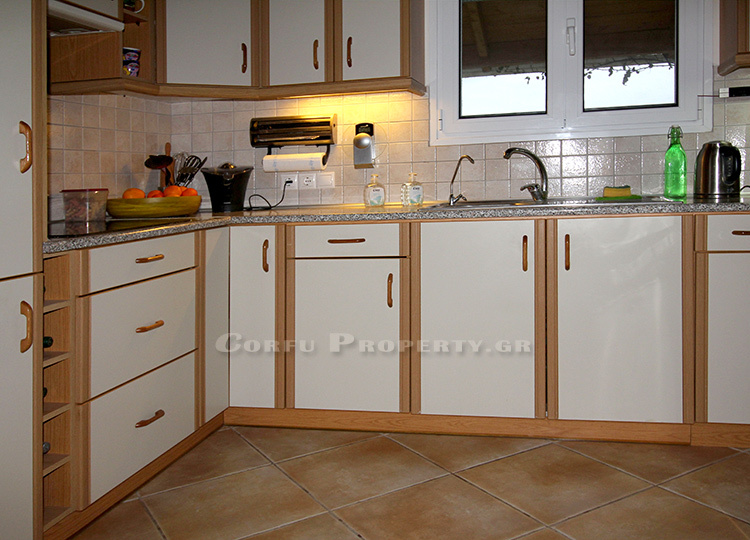 Quietly located in the outskirts between Agios Ioannis and Afra is this charming one level house. 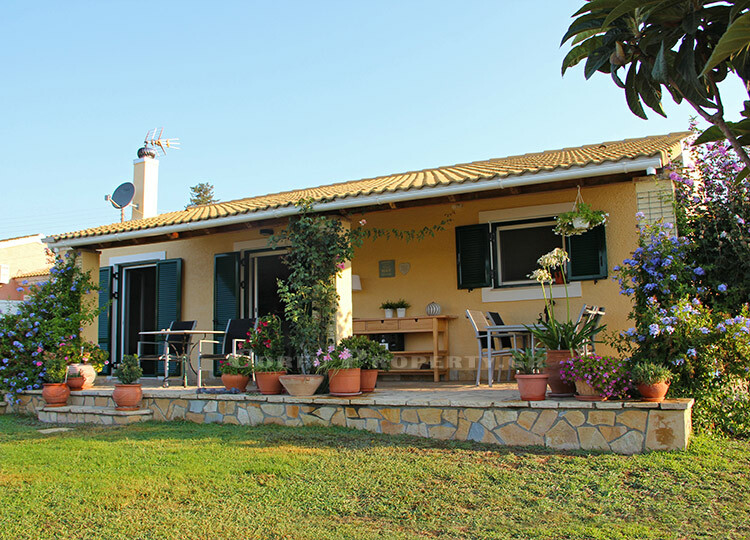 Built in 2002 and in immaculate condition the house of 92 m2 is set in a plot of 1200 m2 offering lovely open views to the surrounding country side with several seating areas around the house and in the garden. 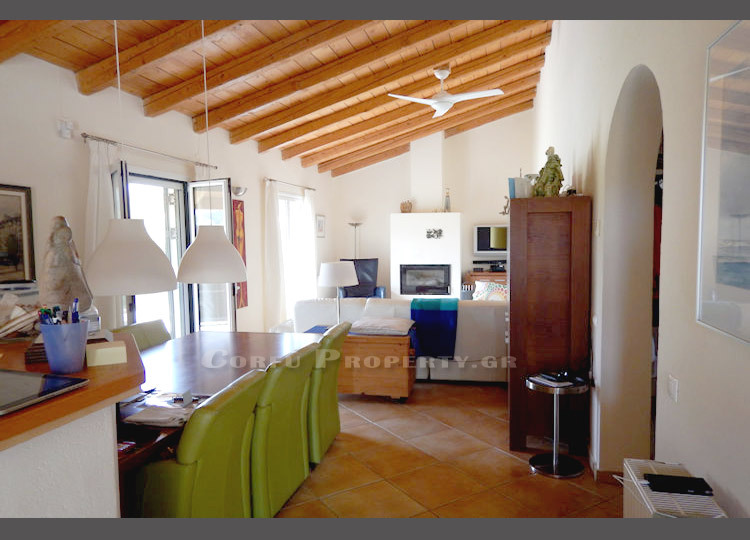 The open plan living space with high wooden ceiling throughout comprises a lounge with a high efficiency fireplace, a dining area with balcony doors opening up to the veranda, a fitted kitchen (oven and dishwasher are not fitted). 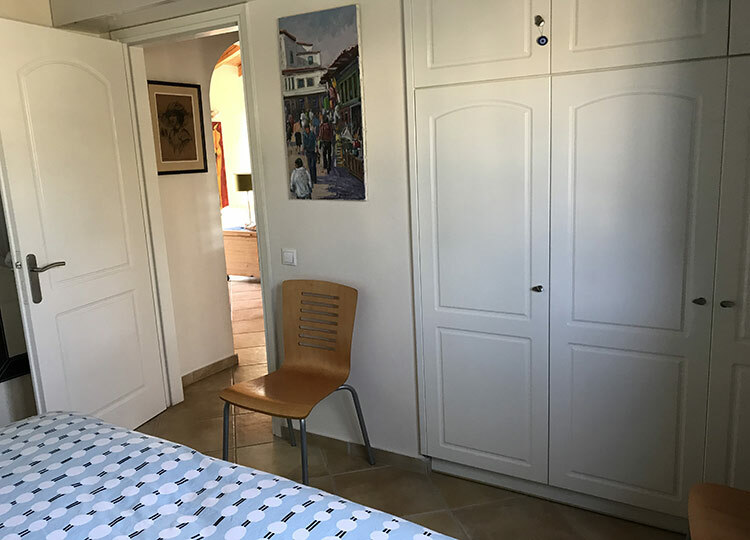 The hallway leads to the bedrooms, a bathroom and a storage closet. 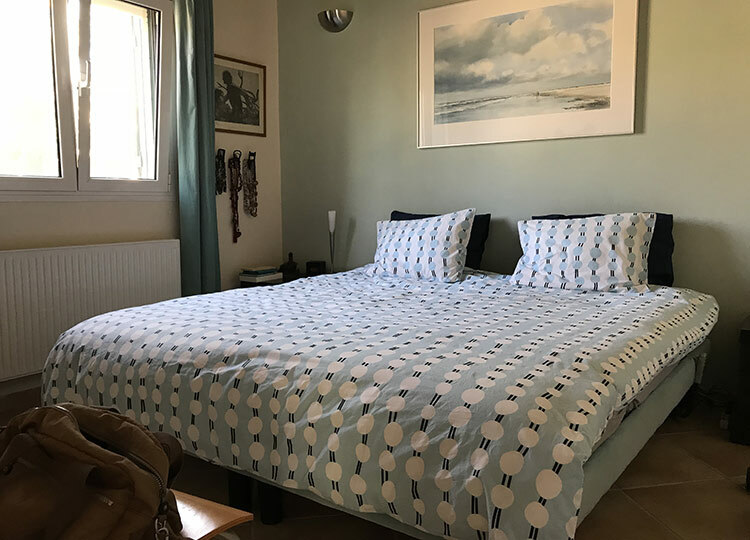 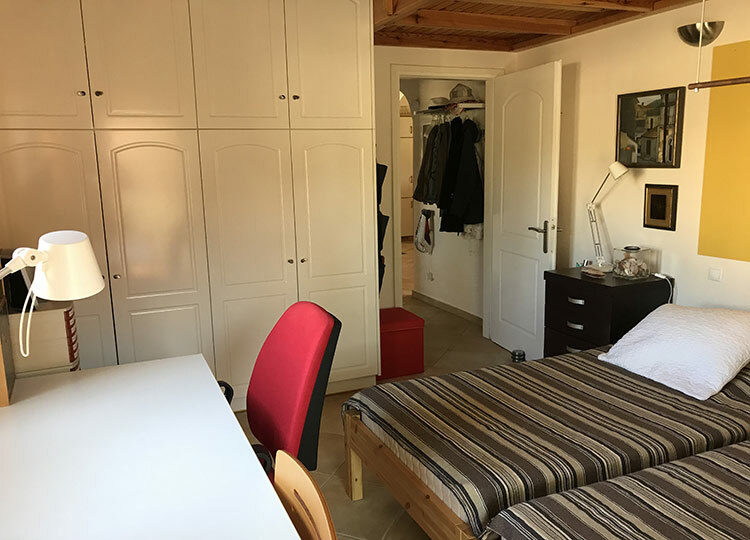 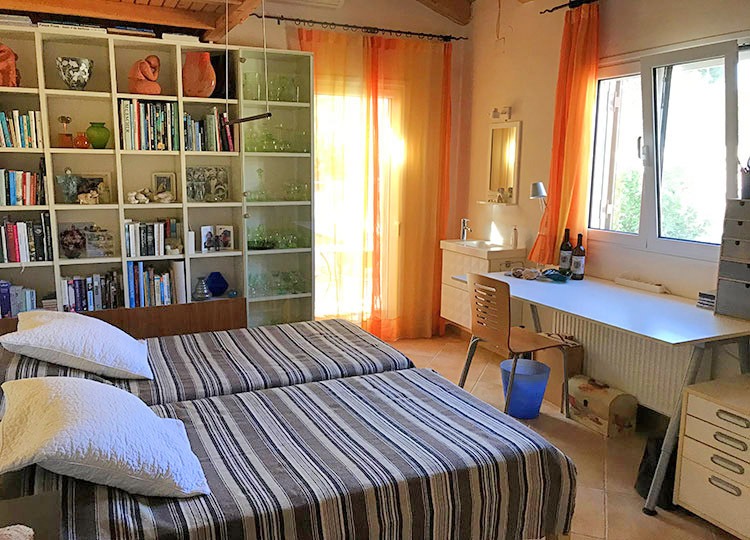 The double bedroom on the right has fitted wardrobes; the guest bedroom provides a mezzanine as extra sleeping area and even a sink cabinet giving more privacy for guests, as well as a small private terrace. 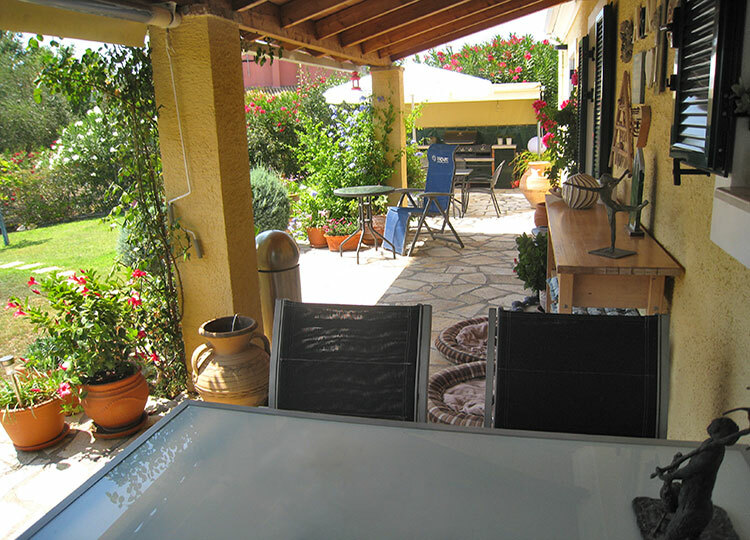 On the long side of the house there is a spacious veranda with an outside dining area, partly protected with an outdoor screen and heating lamp to increase the living space outside. 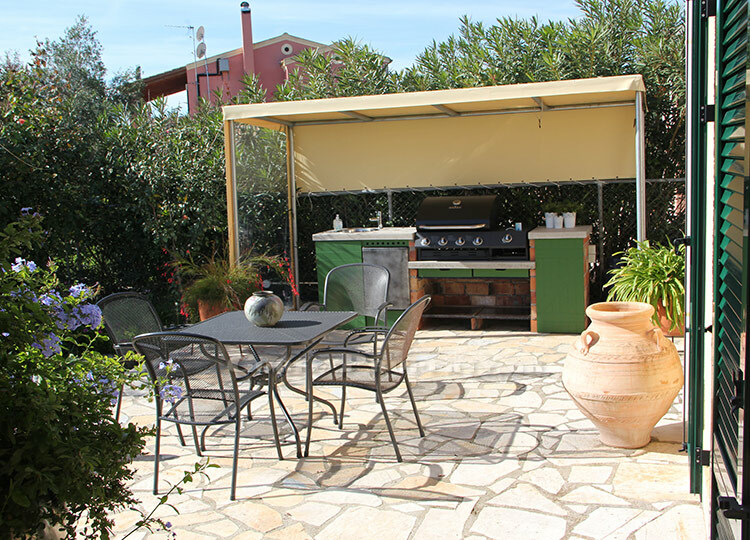 An outdoor kitchen has been placed recently including a sink and gas BBQ. 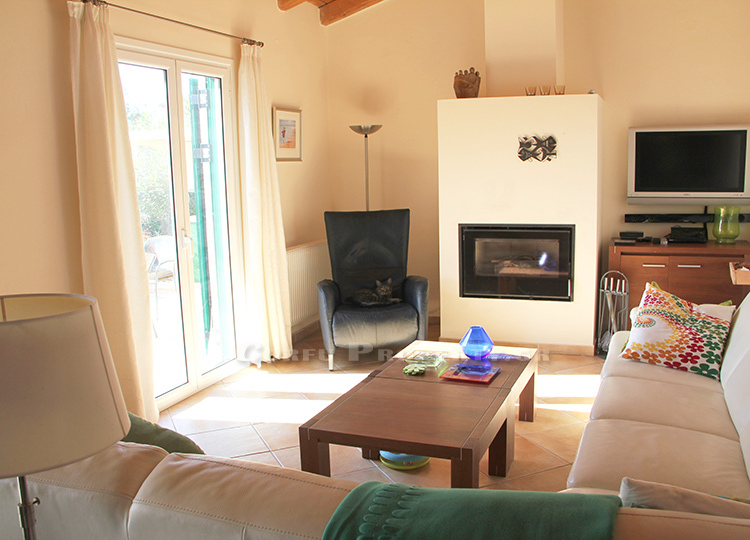 Beside the house is the boiler room, it features an electric heating and electric boiler. 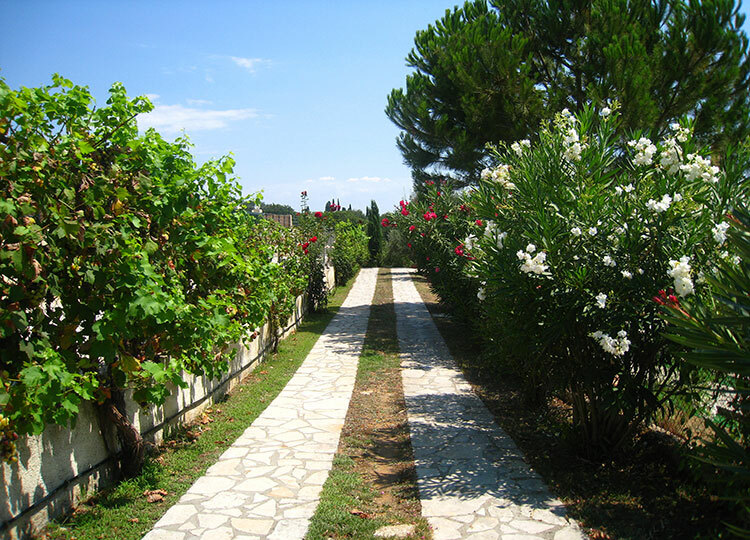 The garden is mainly laid to lawn and is fenced with mature trees, shrubs and flowers. 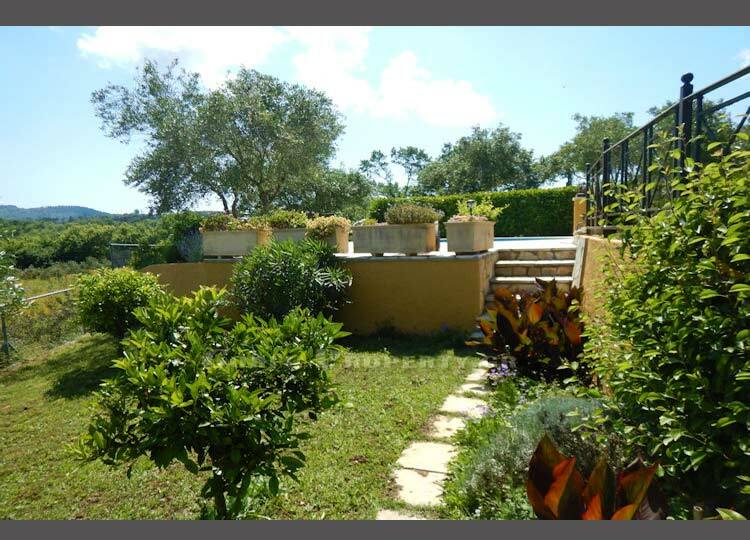 A lower part would be ideal for a vegetable garden. 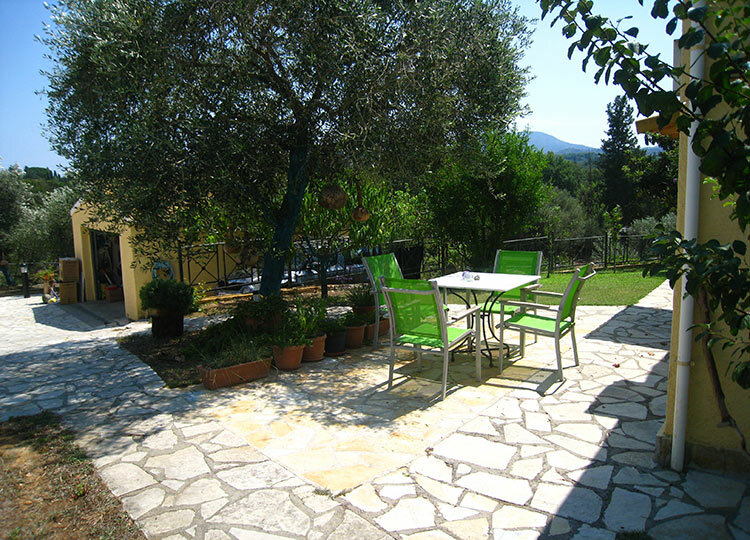 The pool is of a round shape and the pool area is paved with flagstone. 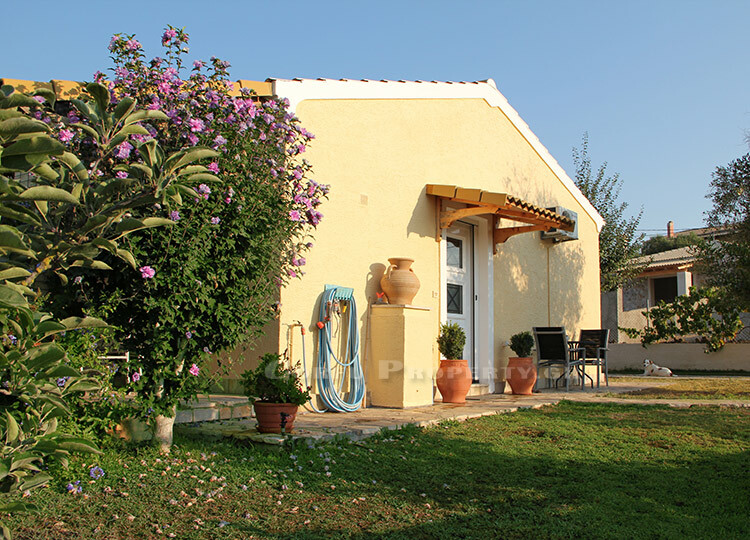 On the right side of the house there is a 28 square meter home annexe which is currently used as a workshop but has a legal planning permission to convert it into a studio or guestroom. 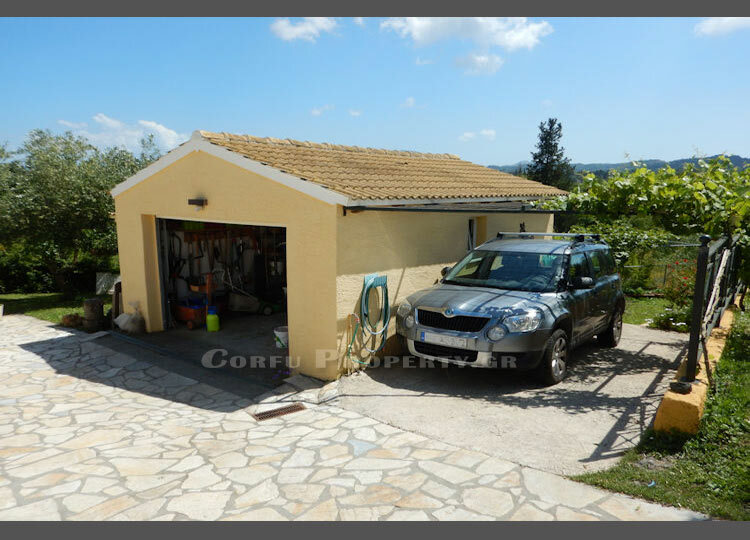 Near the entrance of the house there is a covered outdoor parking. 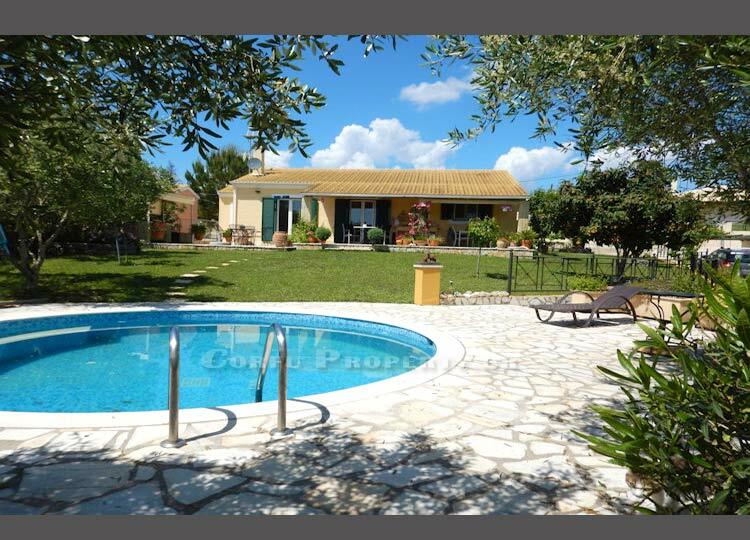 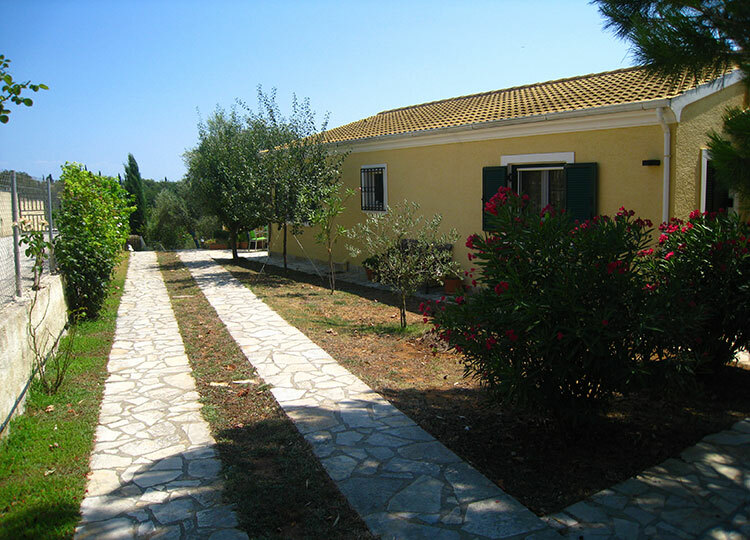 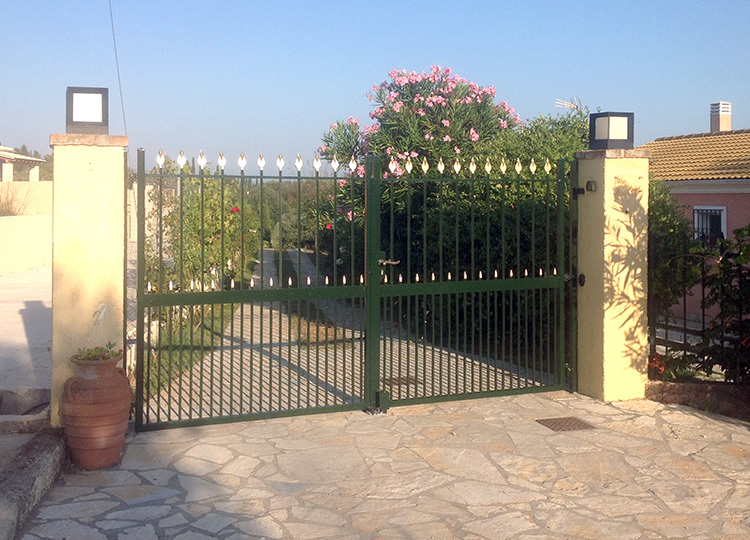 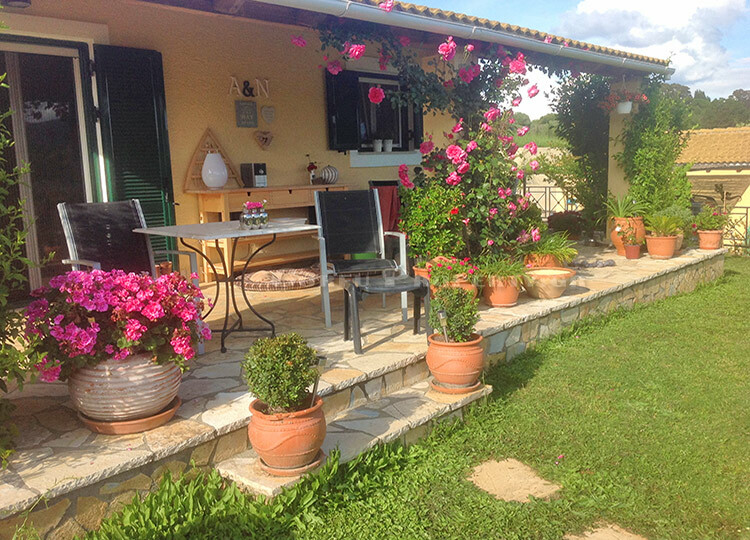 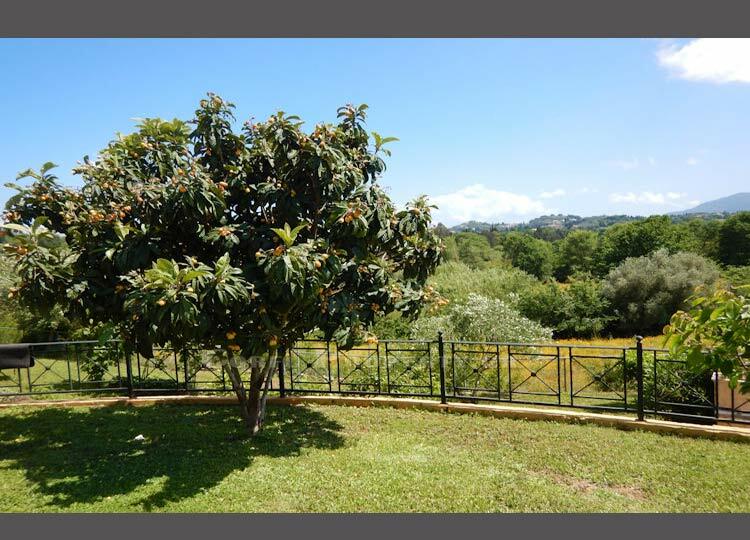 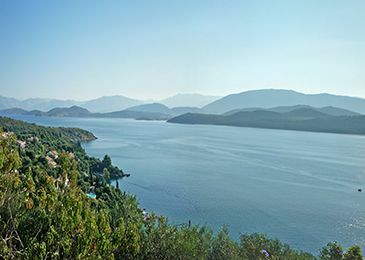 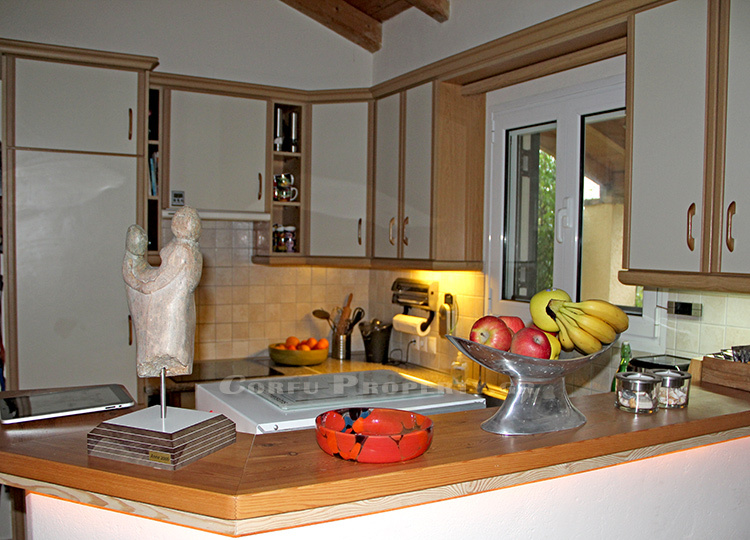 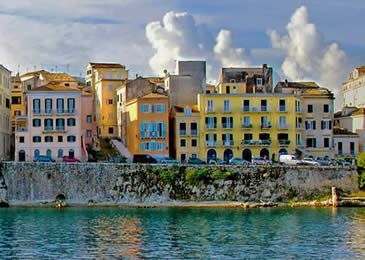 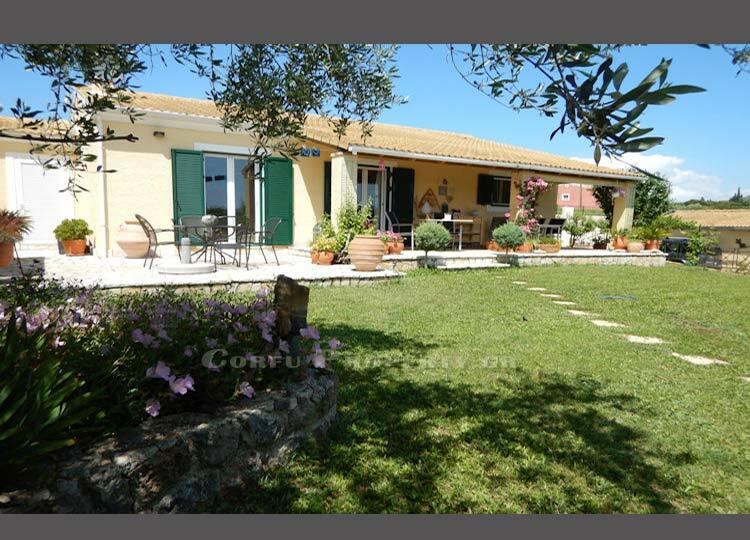 The property is located within a convenient distance to Corfu Town (9klm) and the beaches on the West coast (5 klm). 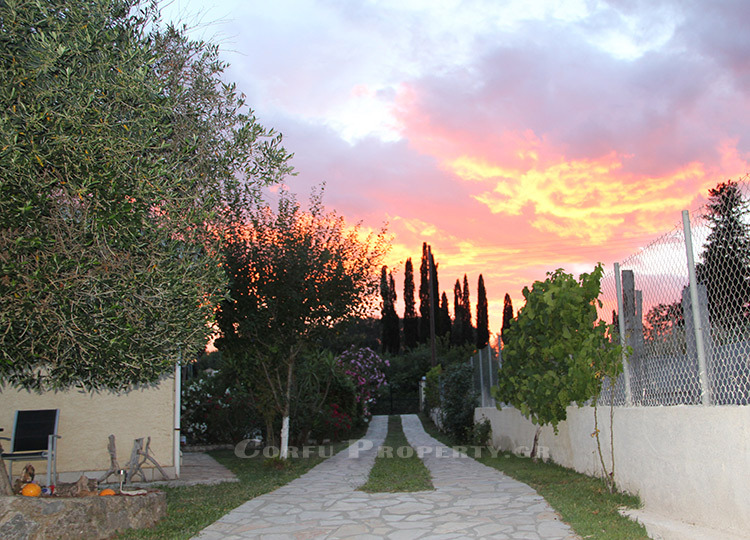 The village Agios Ioannis is closeby with several shops, tavernas and a pharmacy. 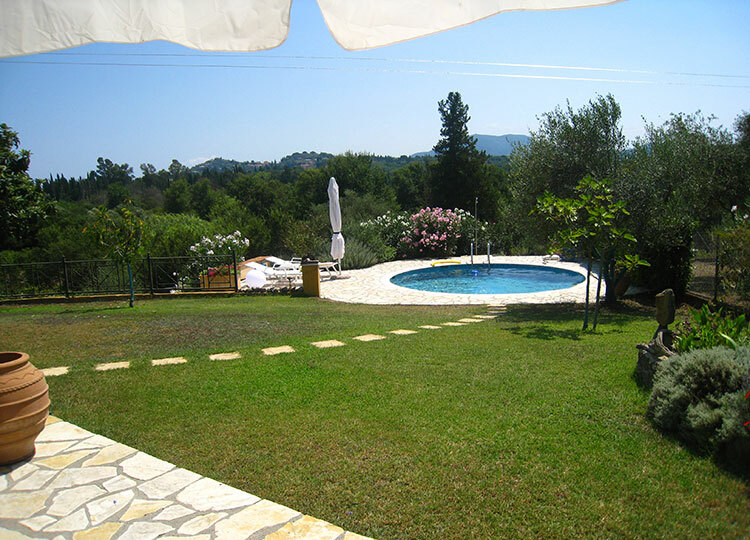 CORFU TOWN: 9 km, BEACH: 5 km, PORT: 8 km, AIRPORT: 9 km.